To detect the location of the leaks in order to rectify them. 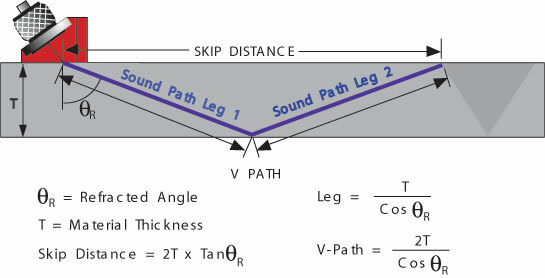 Sounding rod : The sound made by water leaking from a pipe is the basis for the majority of leak locating techniques. Under traditional sounding air inspector uses the simplest instrument for leak detection a listening rod or the sounding rod. This is prepared from a 12mm light steel rod of 1.2 to 1.5m long or the bar of a valve key. At the top of the rod a hole of 2.5mm diameter and 10mm depth is drilled and in which a steel ball of 2mm in diameter is placed. The steel ball moves in the cavity depending up on the intensity of the sound waves generated due to the leak from the pipe. To locate the exact leaky point the rod is moved on the ground surface along the center line of the alignment of the buried pipeline, by keeping the ear on the top of the rod. The vibration due to the leak is picked by the sounding rod and converted into sound and is heard by human ear. The sound emitted by a leak is a ‘low drumming noise’ or ‘continuous buzzing sound’ and tends to be continuous without any change of audibility or quality. It stops abruptly when and if, the water can be turned off. Thus locating the possible leak is identified. Sounding should be done at night when the background noise is low. It is absolutely necessary that the persons be trained properly in using this technique. In case of intermittent system, the line should be filled with water through mobile water tanker and pressurized to simulate the operating condition and the observation be made. Sounding the entire length of the system is not usually adopted because it is very labor intensive, and relatively ineffective on non-metallic pipes. The background sound would interfere with the identification of the sound produced by the leaks. Electronic leak detector consists of a ground microphone, amplifier and headphone. The sound vibrations created by water escaping through the leaks in the pipeline are selected, magnified by magnetic pickup and converted into electric impulses. The electronic leak detector is sensitive and can pinpoint the position of the leaks. 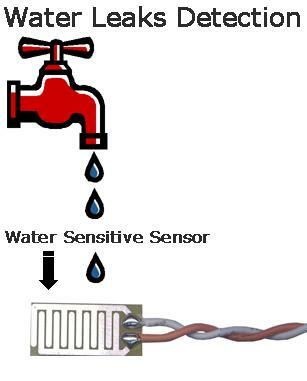 Modern electronic leak detection devices permit discrete filtering of many background sounds that compete with the sound of leak itself. It must be borne in mind, however, that not all leaks emit a sound and the volume of sound emitted is mostly not related to the size of the leak. Many leaks are reported first by the public. However more can be found by searching for surface signs of them. The inspector should visit the whole of the supply area regularly and to identify the places where leaks are occurring. Damp patches, trickles of running water and extra vegetation growth close to the pipe alignments or valves, or above ferrule points may be indicative of a leak. However, beneath roads finished with black top or concrete surface, or where mains are laid in freely draining ground, or adjacent to or below a watercourse, even large leaks may give no surface sign of existence. Trunk/pumping main routes through open country should be inspected from time to time for signs of leakage. I thought that was really helpful. Thanks for the unusual post. I’ll keep checking back on this. Amiable brief and this mail helped me alot in my college assignement. Gratefulness you for your information.